Dan is a classically trained singer and violinist. 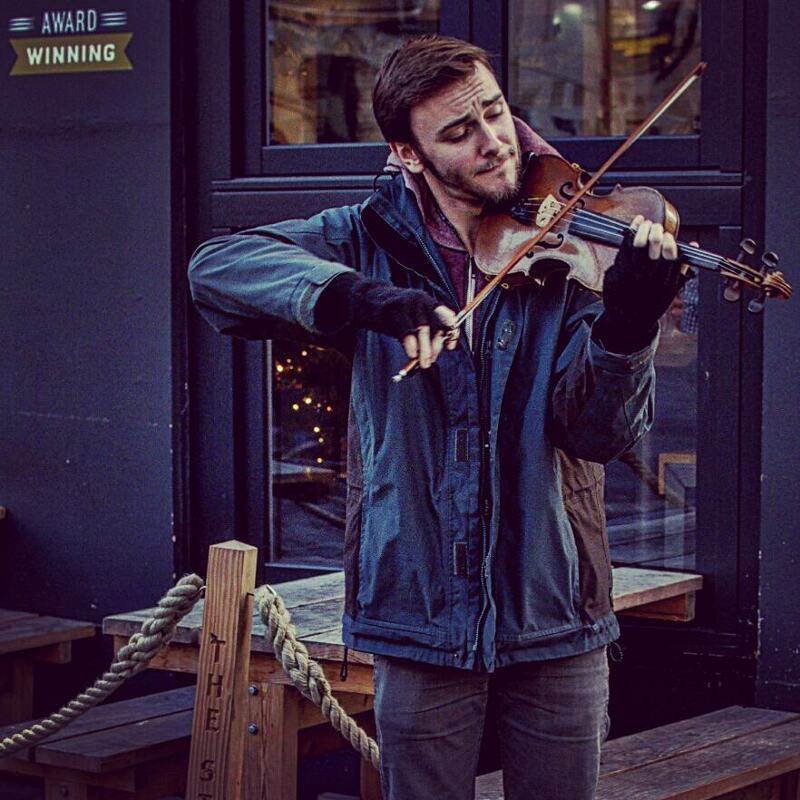 Having spent the past four years studying at the University of York, the Eastman School of Music and most recently the University of Sheffield to pursue a Postgraduate Diploma in Music Psychology – Dan has found his calling in exploring music from all over the world, collaborating with musicians wherever and whenever possible, as well as spreading the messages portrayed by his own music. Much of Dan’s sound is rooted in his interest in traditional folk music from the British Isles, as well as an unerring love of jazz, particularly the music of Chet Baker and Stephane Grappelli. Dan is a freelance multi-instrumentalist, also a proficient guitarist, bassist and violist. Particular specialties lie in choral singing, a cappella, violin improvisation and general session playing and singing. Feel free to reach out if you’d like to make some music! Also available for teaching.